Our aim is simple: to provide the biggest collection of quality villas in Sicily at the best possible price. We do this by connecting owners and managers of high quality villas in Sicily with holidaymakers, thus eliminating tour operator fees and enabling holidaymakers to book direct. Save time by finding all the best Sicily villas on one easy-to-use site. Our constantly-expanding collection of properties really does include something for everyone, from beachfront cottages and city centre apartments to exclusive designer-inspired villas. What matters to us is that holidaymakers are offered quality and value for money regardless of whether the accommodation is a modest family holiday home or a super-chic seafront villa. Thanks to our strong relationship with our villa owners and managers, we offer extremely competitive prices throughout the year. Look out for the Best Price Guarantee logo which verifies that a holiday booked through us at that villa will not be available at a lower rate elsewhere. WHO ARE WE? 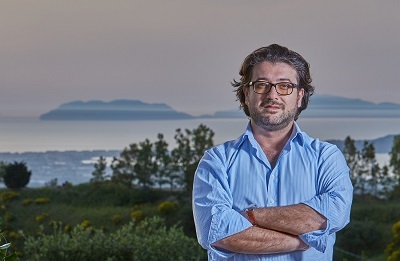 Wish Sicily was established by Gioacchino Sortino who lives in Sicily, involved in tourism and Sicily’s rapidly growing and increasingly sophisticated villa rental sector since 2006, and former founder of soloSicily.com. Gioacchino is backed by a team of specialists who have extensive knowledge of the properties listed and, from the company base in Palermo, are a wealth of information on flights and getting around the island and bursting with local insider tips on what to see and visit. VILLA OWNERS: We provide extensive support and advice to villa owners and managers on renting your property to ensure that the holiday booking experience runs smoothly for both owners and holidaymakers. For more information on listing your property in Sicily, please click here, contact our office in Palermo or send an email to info@wishsicily.com. "Stay at Villa Hybla with its private pool, ornamental garden and solarium ..."
"Telegraph round-up of late availability includes our Villa Arte Mare Blue ..."
"Thanks to the Daily Telegraph for including two of our villas ..."
"This modern villa in the north-west of the island ha plenty going for it ..."
"Enjoy the luxury of your own private pool at Villa Cocuzzolo ..."
"Wish Sicily has a new collection of villa holidays with outdoor activities ..."
"Our base is the sleek Villa Atena, a modern three-bedroom house set on a ..."
"Villa Renata is right on the beach. Its four bedrooms sleep seven with ..."
"Villa Le Edicole has been given a 21st-century makeover. It's as arty as ..."
"Best for ...Big kids - there is a jukebox, pool table and pizza oven ..."
"Head to the lovely city of Noto on Sicily's southeast coast ..."
"Gioacchino reveals on AOL why now is the time to plan next year's holiday ..."
"get live-like-a-local value in Sicily ...Villa Arte Mare Blue"
"If you thought summer was over, think again! Woman & Home magazine ..."
"Wish Sicily rappresenta un mezzo di promozione territoriale secondo a nessuno..."
"Not just for girls: Yoga retreats in Sicily ...Villa Bonera"
"Book a Wish Sicily villa and get up to six hours of instruction a day, overlooking the Nebrodi ..."
"Choose from translucent seas and dazzling views at Casa Blu ..."
"it is always good when a wedding magazine agrees with you ..."
"Amongst High50s selection of best holiday houses with extras in the Med ..."
"Infiorata di Noto, a flower festival in the town of Noto in south east Sicily ..."
"Stay in the heart of the medieval quarter at the exclusive Hortus Suites ..."
"the villa's interior style is simple yet elegant with polished stone surfaces ..."